DriveClub has run through a gauntlet of trouble, from a delay out of the PS4 launch to the loss of one of its leaders. But with a new release date and trailer in tow, the game is starting to come out on the other side. We talked with new game director Paul Rustchynsky about the reason behind DriveClub's delay and what's been going on with the game in the meantime. Rustchynsky may be a new name to some gamers, but he's been closely involved with DriveClub and every game Evolution Studios has put out. For DriveClub, Rustchynsky worked on the gameplay side of the equation – making him a good fit to take the reins from outgoing director Col Rodgers in February. What was the reason for the game's delay? It was primarily just one feature, what we call our dynamic menu. The dynamic menu is kind of the portal into DriveClub. It kind of acts like a social network. Not on the scale of Facebook, but similar to that. We need to make sure that all the connectivity that surrounds the game, whether it be joining clubs or sending challenges, or even interacting with the iOS and Android DriveClub apps – that had to be slick. That had to be absolutely seamless, and that was the one area we needed to put extra time into. All the things that we were able to polish – the cars and the tracks, etc. that was just a fantastic byproduct. We've been able to make those better, but the focus was just fixing this one big, key area, making sure it was perfect and essential to the DriveClub experience. What we originally had was something that was not necessarily as smooth, or the transitions or the the way it connected you or other players weren't as intuitive as we intended them to be. So we had to go back and re-look at those areas, and kind of look at different ways and new techniques to get people to socially connect. And we've changed that with our new dynamic menu system, where we have activity feeds which are filters based upon on where you sit inside the game right now, which is accessible at all times whether its mid-race or in the front end, or even on the app, so we really feel like we've kind of solved all those problems now and created this racing game which is socially charged. Did you have to scale back the game at all? No, that was the whole reason behind it. We didn't want to scale back. It's a very ambitious title, and we wanted to make sure we delivered on all our key goals. The idea was 'no compromise,' and that's why we're obviously coming out slightly later in the year. We've been told the game's not supporting Morpheus [Sony's virtual reality headset – ed. ], but is it something you've considered? Well, we have no plans right now. It's area that we're very keen to get involved with some way. We've all had a go at Evolution because we're part of Sony and we're privy to that sort of tech – and we think it's an awesome experience. But it's something that we're going to have to take time to consider, whether or not it's something we want to take onboard and move forward with, so it's one to just keep on eye on right now. But we've got no commitment just yet. Will there still be the free PlayStation Plus version versus the full paid game? It's no change whatsoever. The PlayStation Plus will still be available day-and-date in October with the Blu-ray. 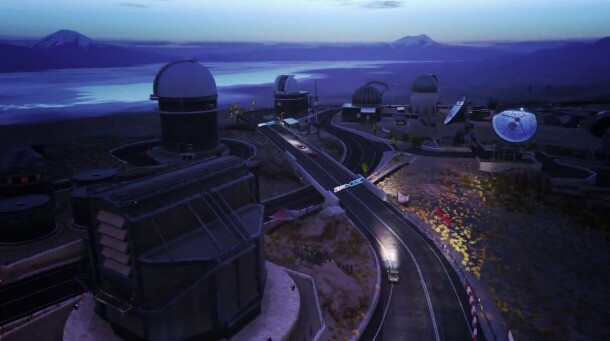 It will feature all the key things such as multiplayer, the ability to join/form clubs, send challenges, play partly DriveClub single-player campaign – The Tour, as it's called. The only thing that PlayStation Plus limits you on is the amount of content. You won't have access to all the cars, you won't have access to all the tracks. On the topic of access, what did you think of the fan furor over Forza 4's microtransaction structure? As a gamer myself, I'm always very keen to listen to the community and hear what they have to say about these sort of features. So what we've done with DriveClub in terms of the accessibility and unlock structure is make it a very clear, straightforward thing. So there's no consumable, mictrotransactions. It's a straightforward...as you level up inside the game, you unlock cars, and that's it. It is supremely straightforward, and we feel that within the first few hours you'll have a huge amount of content to be playing with, and as you level up – and if you join a club you'll level up faster – you'll get access to these cars very quickly. By the time you finish The Tour, you'll unlock pretty much all the content the game has to offer. We don't want to hold things back. We want to make sure the player gets access to the content within a very reasonable sort of time frame. Have you decided on the game's DLC? No, it's something that we're discussing right now. In terms of cars and tracks, there are obvious things we're considering right now. In regards to features, obviously we got a few ideas that are circulating, but we want to kind of listen to the community. We want to hear the feedback and react to that, because it's the community that make DriveClub because of its kind of social roots. So they need to be the ones who drive us forward. Will we see the MotorStorm franchise return? Well, what I can say about Evolution – obviously we've got a fantastic heritage of working on the MotorStorm franchise and WRC in the past, and we're big fans of racing. We love our racing games here, and obviously it's fantastic to be able to work on DriveClub and work with authentic cars, but we don't know what's next. Well, it's not something we're looking to talk about right now. DriveClub obviously coming out October 7 in the US – that's going to be our absolute focus. Then we want to make sure we maintain a good level of service after DriveClub as well, because as I said before, it's about making sure that we keep players interacting and challenging one another in the DriveClub universe. So as of right now we've got nothing to talk about in terms of future plans. DriveClub comes out for the PlayStation 4 on October 7. Below is the latest trailer for the game.